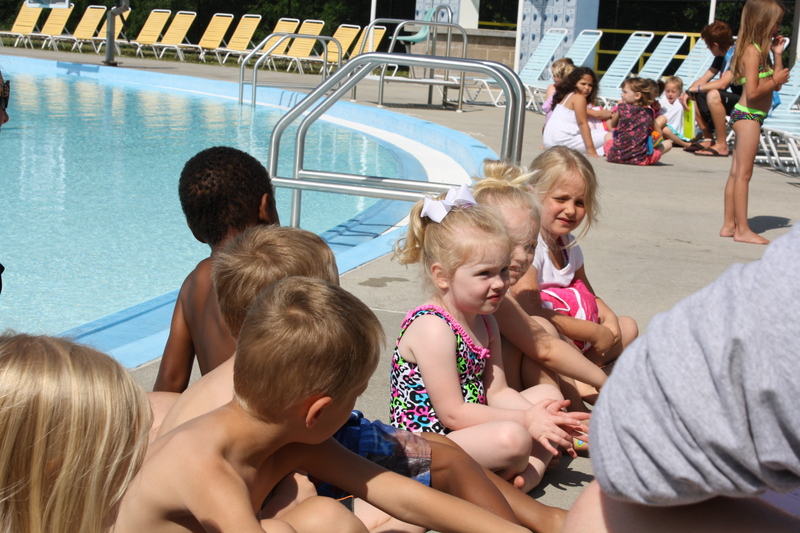 Kenley was so excited this week because SWIM LESSONS STARTED!! 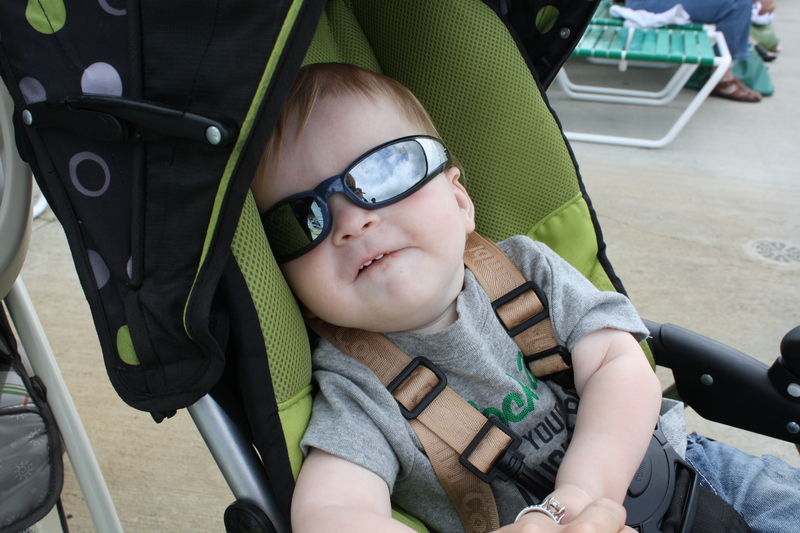 Cohen enjoys some time out in the sun while watching the girls learn how to swim. 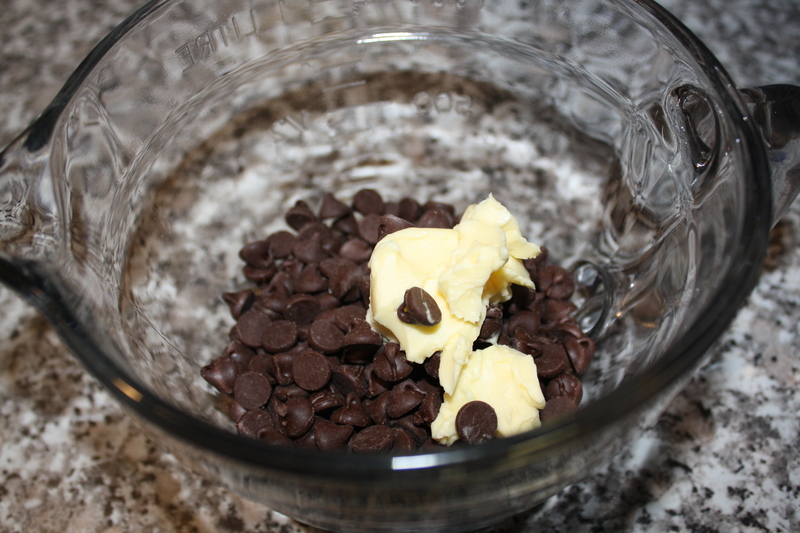 Melt the chocolate chips and shortening in the microwave for about 1 minute and 20 seconds. Stir the mixture to make sure it is creamy. 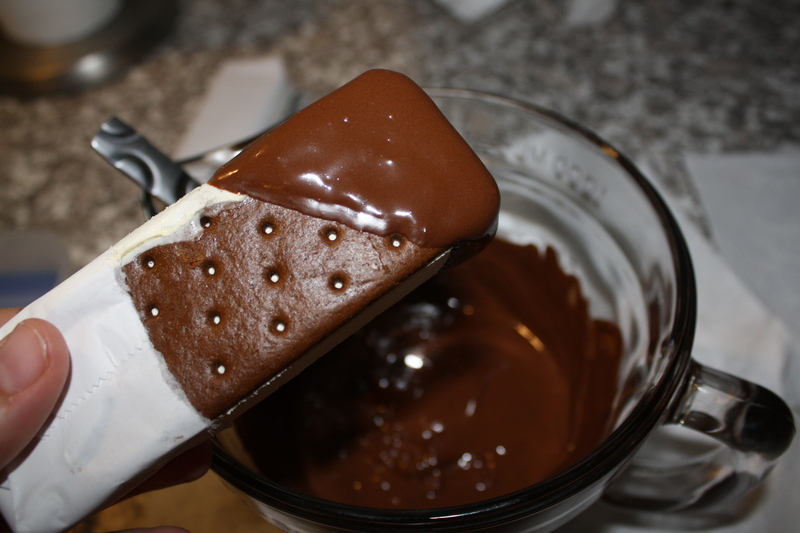 Take 2 Ice Cream Sandwiches out of the freezer at a time (you don’t want them to melt). Then I took about 3/4 of the wrapping off so the girls would still have something to stop them from getting messy fingers. 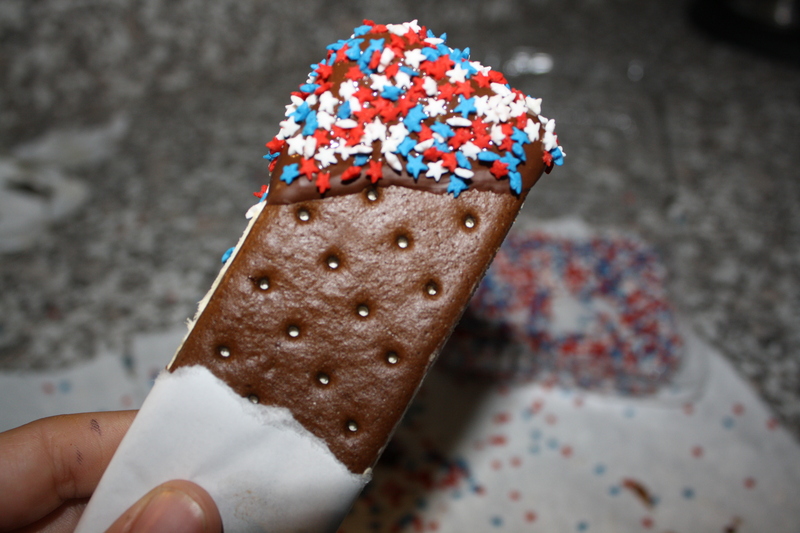 Dip each ice cream sandwich in the chocolate frosting then top with 4th of July Sprinkles. I also had no luck finding red, white and blue sprinkles at the grocery store. But when I walked in I saw some cupcakes that the grocery baker had made and they had star sprinkles on them. So I asked the cashier about it and he went to the back and got me a LARGE amount of the sprinkles for me. It never hurts to ask! And he only charged me 30 cents for them….talk about customer service! 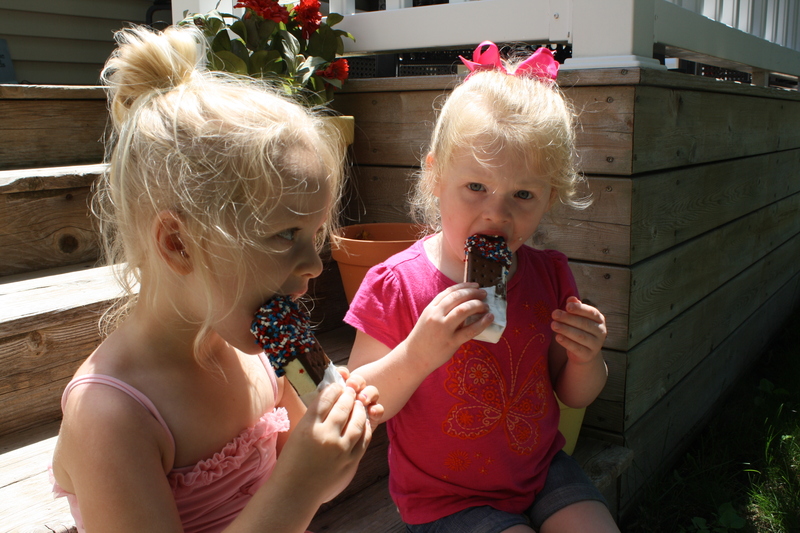 We went outside….on this 100+ heat index day….and ENJOYED a nice cold treat! 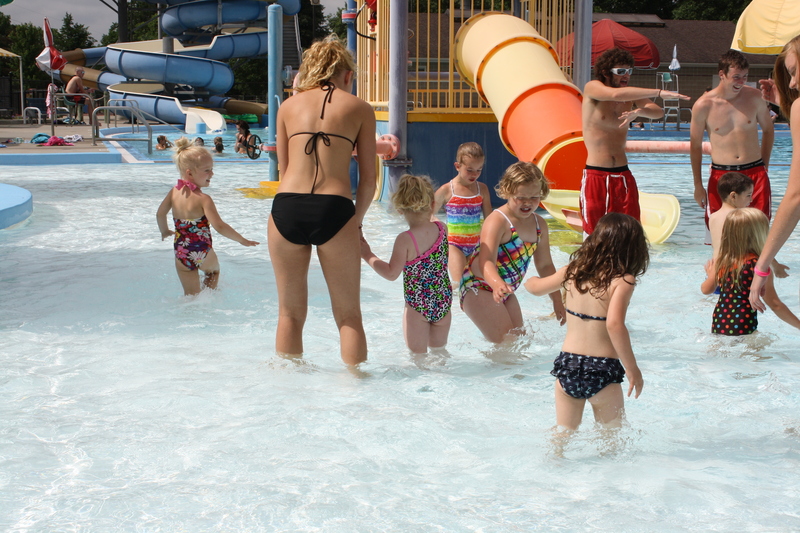 We went to the pool, just for an hour. 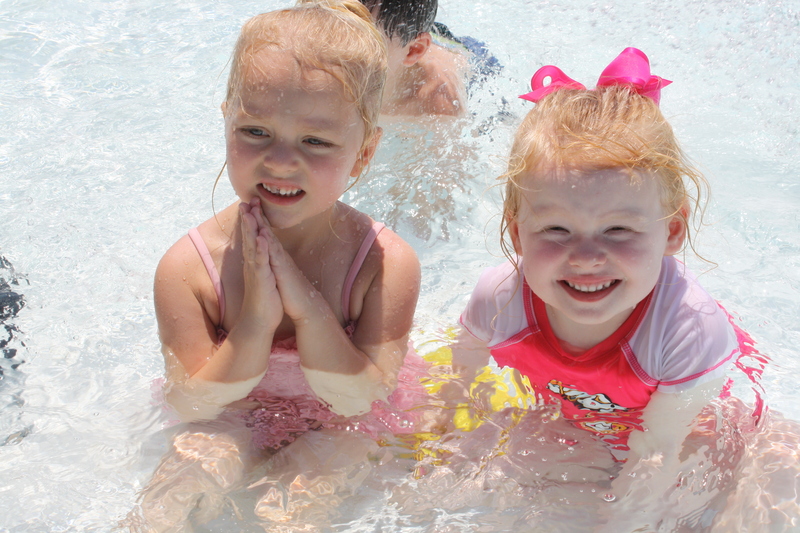 It was great to get out of the heat and into a nice cold pool! This entry was posted in About Faith & Family, About Food, Sides & Snacks and tagged 4th of July, dessert, family, kids, snacks. Bookmark the permalink.